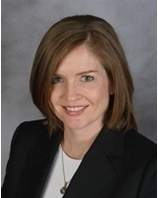 Victoria J. Maniatis joined the firm in 2011 concentrating on pharmaceutical and medical device mass tort cases. After graduating from The Pennsylvania State University and Hofstra University School of law, she was admitted to practice in Federal and State courts in New York and New Jersey as well as pro hac vice in many courts across the country. Ms. Maniatis has been an invited moderator and lecturer on several pharmaceutical cases including, Avandia, Baycol, Ortho Evra and ReNu with MoistureLoc contact lens solution. She is an active participant in the American Association for Justice (AAJ) and New York State Trial Lawyers Association (NYSTLA) and has written articles on pharmaceutical products and vaccines. Ms. Maniatis also has experience in Aviation and insurance matters, and enjoys serving as a volunteer adjunct professor at Hofstra Law School’s E. David Woycik, Jr. Intensive Trial Techniques Program. Ms. Maniatis lives in New Jersey with her husband Bill and their young son.